Quavo invites the Clemson Tigers to dinner at the Quality Control headquarters. Last night, the national college football champions Clemson Tigers headed over to the White House for dinner with Donald Trump. 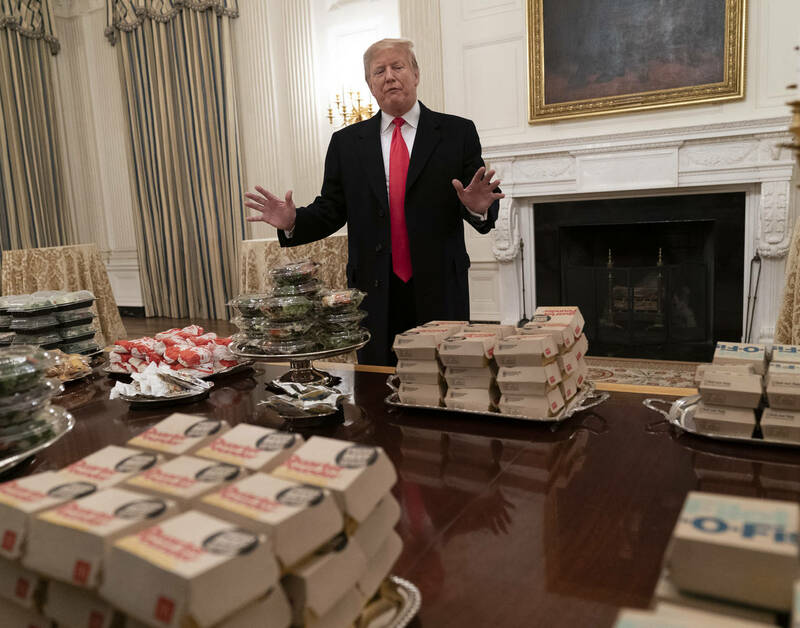 Instead of offering the players and their guests some sort of fine dining, Donald Trump came through with a massive fast food buffet that included McDonald's, Burger King, Dominos and Wendy's due to the ongoing government shutdown. Many felt like the players deserved better than just a few burgers from McDonald's and other fast food joins. Quavo is among the many that felt the champs weren't treated as they should've been and offered to show the Clemson Tigers how they should've been treated. Quavo is looking to bring the Clemson Tigers over to the Quality Control headquarters for dinner one of these days. The Migos rapper took to Twitter to invite the players to a nice dinner while shading the POTUS. "I WANNA SHOW CLEMSON TIGERS AND POTUS HOW CHAMPS ARE SUPPOSED TO BE TREATED YALL WELCOME TO COME BY THE QC HEADQUARTERS ANYTIME Dabbin DABO STILL #GODAWGS The Stir Fry Way!" He wrote on Twitter. Before the event started, Trump delivered a speech welcoming the Clemson team to the White House. "Because of the shutdown, you know we have the great Clemson team with us, the national champions. So we went out and we ordered American fast food, paid for by me," Trump said. "Lots of hamburgers, lots of pizza." It's unsure what Quavo has on the menu for Clemson, but hopefully, he comes through with some good Georgia cuisine.